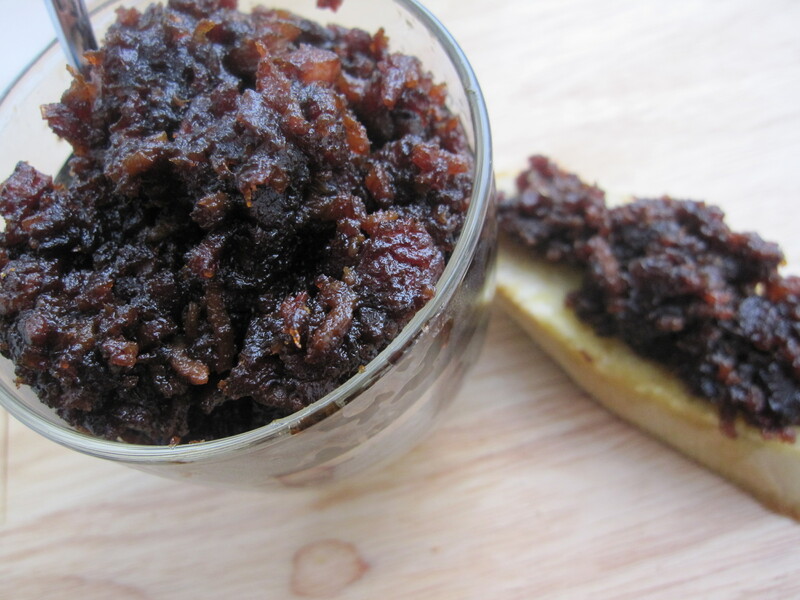 Yes you read the title correctly, bacon jam! This may not look like the prettiest thing in the world, but trust me, this is some of the most delicious and addictive stuff you will ever eat. It is a bit labor intensive, but well worth it. 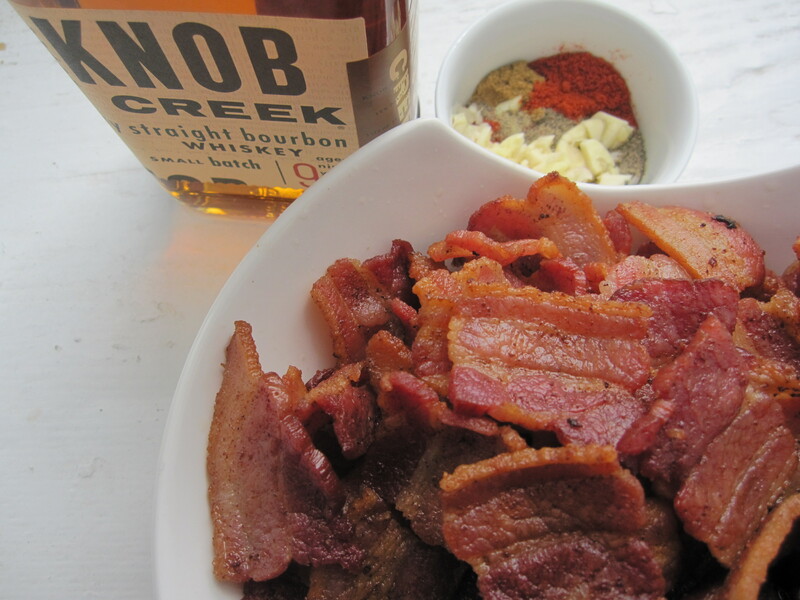 If you love bacon, you have to try this! Cut bacon into 1 inch pieces. In a large pot or Dutch oven cook bacon in batches until crispy. When all bacon has been cooked, remove from pan and set aside for later. Remove approximately 1/4 cup rendered bacon fat, leaving just enough oil to cover onions. Add onions and brown sugar. Cook 20 minutes until onions are soft and caramelized. Next, add garlic, spices, coffee, vinegar, bourbon, and maple syrup. I change up the spices for this recipe depending on what flavors I want to go for. You can add any spices to suite your taste such as paprika, cinnamon, all spice, nutmeg, cayenne, chile powder, thyme, anything you can think of. I would start with about 1/4 teaspoon and go from there. You can always add more during the cooking process. Add bacon back to pot. Bring to a low simmer. Cook for three hours occasionally stirring to prevent sticking. After the first hour, take a spoon, and skim off any oil that has risen to the top. If the mixture begins to stick during any time of the cooking process, 1/4 cup water can be added as often as need. After reaching three hours, let the mixture cool slightly. Put mixture in a food processor and pulse until desired consistency. Store in an air tight container in the refrigerator for up to one week. Jam can be served as a topping for burgers, pasta, baguettes, or anything you can think of! I will be posting some ideas for serving the jam this week so stay tuned! This sounds so interesting. I am so glad I found your blog. Thanks! it sounds a little strange, but it is delicious! Bacon goes good with anything! mmm…bacon…cant wait to try some! I’m going to bring you some! I am a bacon lover and will have to try this one out. Hmm. I feel silly for drinking so much coffee while consuming bacon and for cooking so much with bacon and coffee and never thinking to intersect the two…I love bacon, damn. LOL I love bacon too! Wow! I might need some of this in my life soon! And, really…. how bad could it possibly be?! Bacon makes everything better.